It’s time to fly, folks! 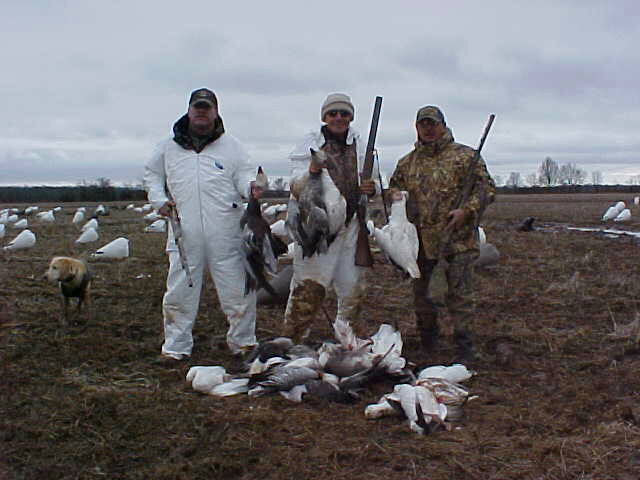 As a family-owned and operated business, Pluck-A-Duck Lodge welcomes all of our customers to join us for the migration of a lifetime. 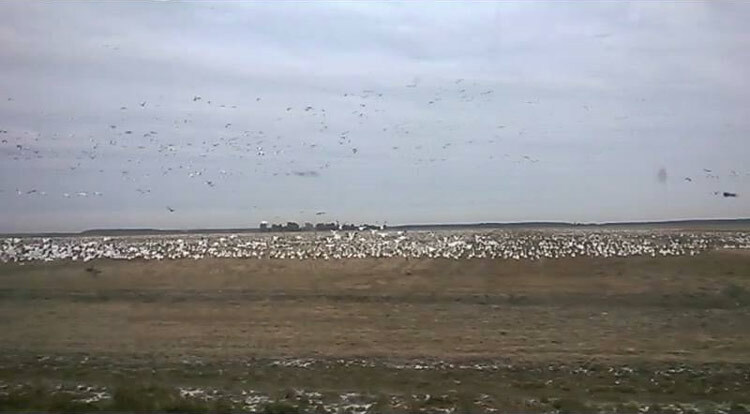 Every winter, snow geese fly south from the Midwest and Canada. It is during this time that Pluck-A-Duck Lodge proudly throws open our doors and invites everyone to partake in the hunt of the season. 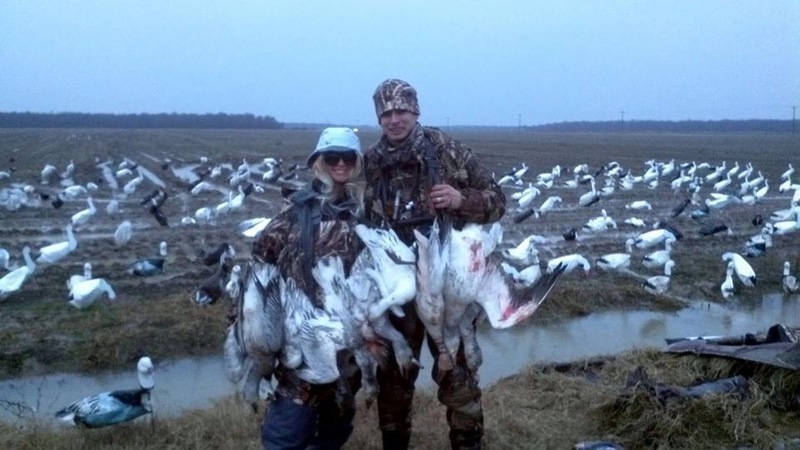 When it comes to snow geese hunts, only a true professional can know how to navigate through the November migration, in search of those perfect birds. 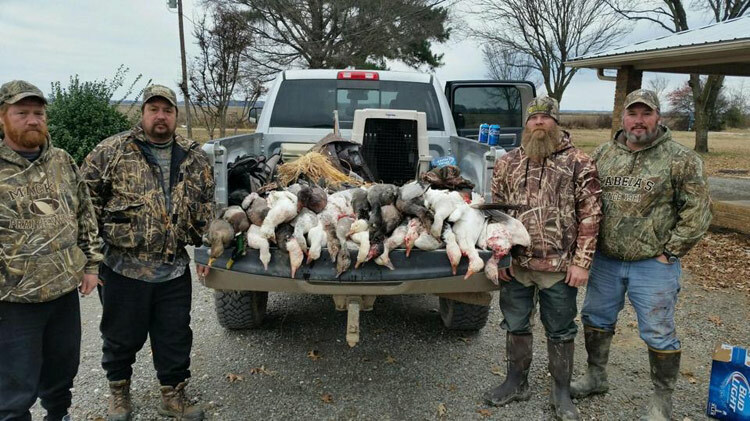 That’s why Pluck-A-Duck Lodge equips all of our hunting convoys with highly trained guides that will take you across the snowy fields and shady groves to the best waterfowl hunting spots around. We’ve got 20,000 acres of private hunting land, and they’re all at your disposal. 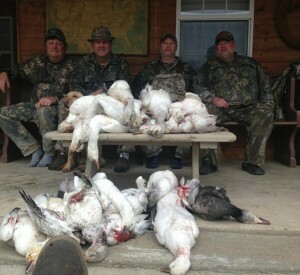 That is not only more than most lodges in Arkansas can offer, but it’s more than you’ll quite know what to do with. And just because duck hunting season is over, doesn’t mean it’s time to put away your trusty ole’ gauge. Instead, we ask you to pack your bags, ear plugs, and your favorite hunting rifle. If you’re really going to bring home the best Thanksgiving feast, you’re going to have to work for it. 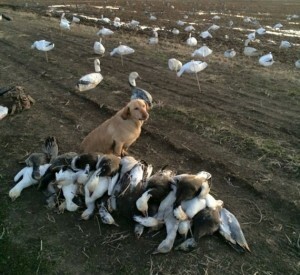 Only you can rest assured that our Pluck-A-Duck snow goose hunts will not disappoint. 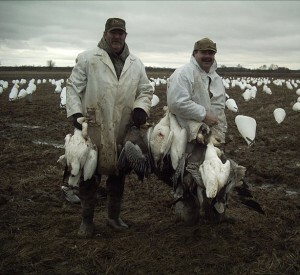 Since mid-November is considered prime time for conservation order hunts, we’ve been federally mandated to decrease the ever-increasing number of snow goose. What does that mean for you? Easy pickin’s! 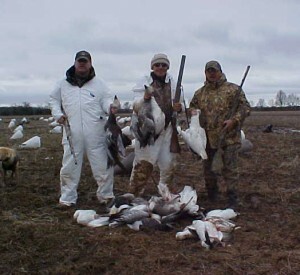 Since there is no limit on geese during conservation hunts, we’ve had friends come away with 50+ birds in a few days. 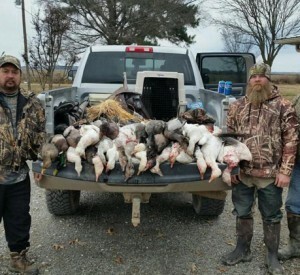 No doubt there’s also a few bruised shoulders in the Pluck-A-Duck Lodge, but it’s nothing a few ice cold beers can’t fix. With accommodations for up to 21 people, our lodge also comes ready to house any hunter looking to relax after a long day of hunting. Here, you’ll be able to come back and enjoy a warm bed, and an authentic woodlands atmosphere that is sure to serve as your cozy reprieve. 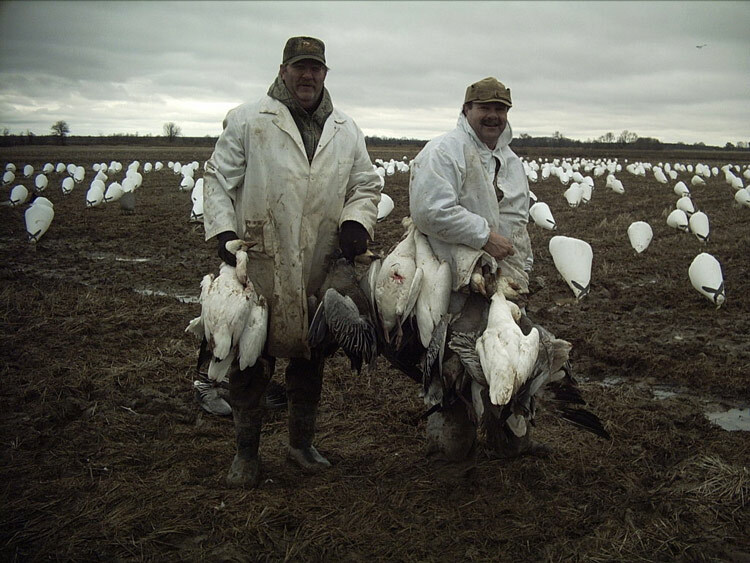 We find that most of our hunters come away from Pluck-A-Duck feeling revitalized both from the hunt and our comfortable home. When you’re not back at the lodge, you’ll also find in-depth training out in the field. In fact, we’ve been told by many of our clients that Pluck-A-Duck is where they go to receive the best scouting and tracking guidance. 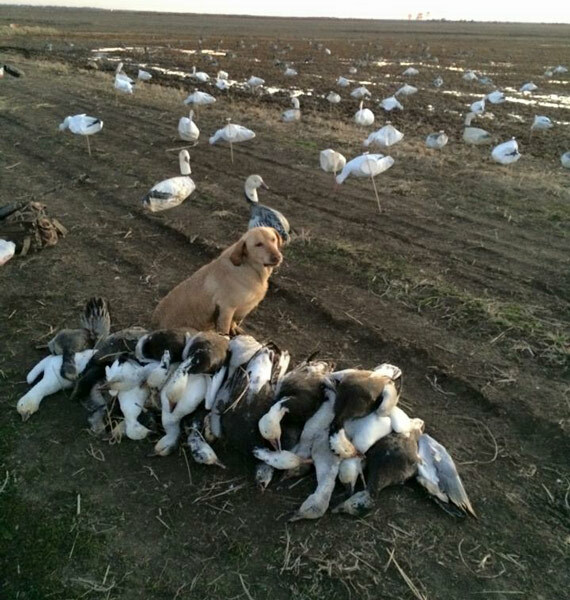 While on the hunt, you will be able to work closely with one of our trained professionals in order to maximize your chance of success. Think of this as your time to test your tactical prowess. From pit blinds to decoy arrays, layouts and more, you certainly won’t regret your time spent learning more. It is also important to note our idyllic location right off 99 Country Road. Wedged between the woodlands and the lovely L’Anguille River, Pluck-A-Duck Lodge occupies some of the grandest land in our home state of Arkansas. With that being said, you can expect to take in our scenic views while scoping out the hundreds of geese flying overhead. 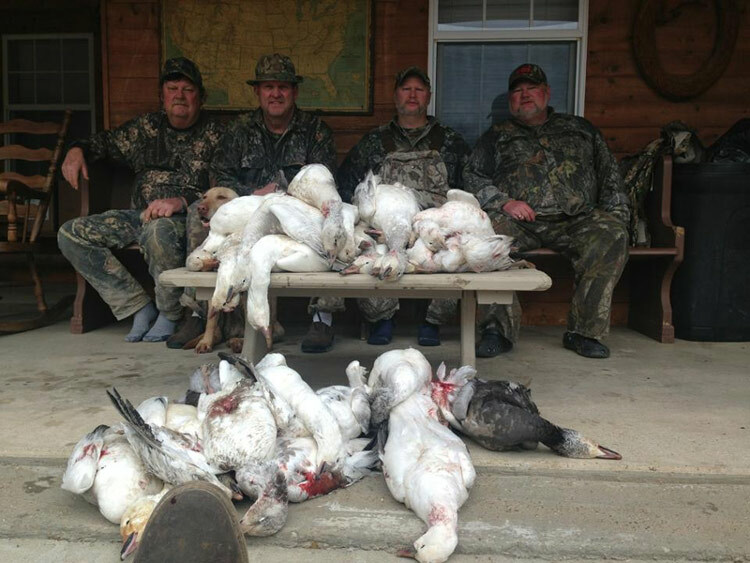 Another fun fact that not many people know is that the Mississippi Flyway has a long and storied history that dates back to before you or your grandpa can even remember. 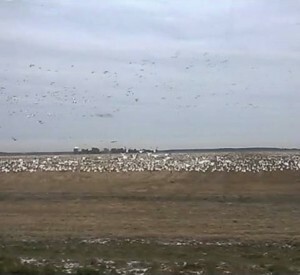 This bird migration route has outlived us all, and continues to maintain flocks of waterfowl as far as the eye can see. Come and take a look for yourself, but trust us when we say: You might wanna stay here forever. Now let’s get down to some logistics. For any questions on how to first arrive at Pluck-A-Duck Lodge, please refer to the “Directions” tab. There, you will find detailed instructions on how to drive from the Memphis Airport, Little Rock Airport, St. Louis, Missouri and beyond. If you are driving from a further distance or simply have a question about parking, feel free to give us a call at your earliest convenience. Additionally, if you have any questions on pricing, please make sure to check out our “Hunting Rates” tab. Typically, we our rates start at the low price of $100 per day per person, but rates are subject to change based on time of season and the number of individuals in your party. We also have special promotions going on throughout the year, so be sure to check with one of our associates to see if you are eligible for a lower price. At the end of the day, Pluck-A-Duck Lodge is only happy if you’re happy. We’re always here to answer any additional questions you may have, and sure do look forward to seeing you make those feathers fly. For more information, give us a ring at 870-588-5608 or send us a detailed note at info@pluck-a-duck.com. From there, one of our team members will get back to you as soon as possible.